We cannot embrace the future by clinging to the past! At the last-ever “Toll Free” Summit in November, 2013 we proclaimed that "toll-free is dead!".... Well, not completely. Not ever, really, but certainly as we know it! Today, we propose a replacement term: “Hybrid Telephony,” meaning hybrid telephone services that bridge the phone and Internet. The new toll-free texting services, for example, bond an Internet channel with the traditional analog phone, as will our Visible Voice service. In contrast, services like Skype and FaceTime are pure digital, not hybrid telephony, so no “bridge” is created. What’s more, we’ve tested the term “hybrid” with toll-free prospects over the last few months and can report that the reception has been amazing. One sales rep said, “I never got so many call backs in a single day!” Over time, we believe, toll-free will become the quaint moniker of the past as hybrid comes inyo vogue. This evolution parallels the insight deployed in the mortgage industry when they replaced the term “Second Mortgage” — which had become a shameful prospect— with “Home Equity Loan,” which was new, cool, and hip! 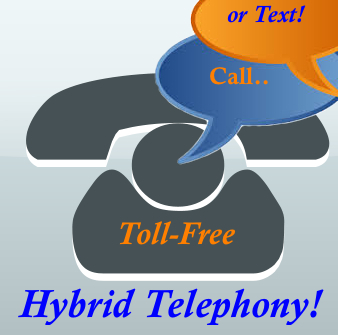 Powered by toll-free, “Hybrid Telephony” is now open for 21st century business! In conjunction with the Summit, we are forming and sponsoring a Users’ Group dedicated to voice and visual commerce. The mission of this group will be to advocate for user concerns in Washington, as well as with SMS/800 management team. For too long, telecommunication professionals have held this stage alone and, year after year, key concerns such as theft, fraud, recovery, and registration remain unaddressed, or lost among more provocative issues. Gina Perini to Keynote Summit! We are honored to announce that Gina Perini, President and CEO of SMS/800, Inc., will speak at the Hybrid Telephony Summit on the "Future of Toll Free." Gina is a bright, articulate, and visionary leader with a background in new media, intellectual property, privacy law, and strategic leadership. She was appointed in March, 2014 as president and CEO of SMS/800 Inc., the executive management team that oversees toll-free number administration. Join us as Gina exclusively shares her vision on how toll-free will transition from traditional PSTN to IP functionality and other far reaching issues. Before serving as acting president and CEO, as well as chief administrative officer and general counsel, of SMS/800, Inc., Ms. Perini was managing counsel at GTC Law Group LLP and Affiliates where she advised clients on global business and intellectual property matters in the technology, telecommunications, internet, new media, advertising and consumer product sectors. She has deep knowledge and experience in regulatory compliance, business transactions, corporate governance, technology and licensing, and international privacy compliance. Prior to GTC, Gina was an Associate at Foley Hoag LLP in the business and intellectual property practice groups. Ms. Perini received her Juris Doctorate from Northeastern University School of Law, and a Bachelor of Arts from William Smith College. SMS/800, Inc. provides technology and database administration services utilized by the telecommunications industry. Additional information is available at http://www.sms800inc.com. We will convene once again in Chicago at the Thompson Hotel, beginning on Sunday night and ending at check-out on Wednesday. Sunday’s dinner will be held in private room just down the street at one of Chicago famous pizzerias, Lou Malnati’s at State and Rush, sponsored by Dial 800. Plan to arrive in time to dine around 6:30pm (Exact time TBD). On Monday night, we will return to the world renowned Gibson's Chicago Steakhouse, directly across from the hotel, sponsored by Michael Markette of CallRevu and Zenith Media! On Tuesday night we will watch the Cubs-Cardinals baseball game from the 3639 Rooftop directly across the street from Wrigley. Wednesday, Sept. 24, 10am- 12pm. Users’ Group meeting (Casual and may be outside the hotel). Who should attend— This is an invitation-only summit designed for professional owners and operators of shared-use programs and those who aspire to “build-out” programs based on vanity toll-free numbers. The general sessions are not intended for end users, or for those "professionals" who do not share our core values. if you're not sure if this is for you, please call Loren or one of the other Founders to inquire. Case Studies— Mike Musto of 1-800-Pavement shared his success story last year and we want to find others like this to inspire the group. Bundling— What kind of business models are most effective? What can each of us share with the group to enhance marketing? Texting Toll-free— Several companies are now offering text to toll-free numbers. Find out the latest and how texting is being used! Visual Telephony— If texting is an appetizer, then visual telephony is the main course! Find out how this will help create a renaissance in remote commerce. New SMS management team— What this means to SMS/800 operations and service offerings. What positions should we take as a group to ensure that we maintain status quo or better? Codified transfers— This is the defining issue of our time. What steps do we take to codify transfers without raising ancillary issues that provoke inaction? "Your Ideas Here! "— If you know of something that should absolutely be included in this year’s summit, please call or email Loren. Register below for this invitation-only event— Please note, by registering and/or attending you agree to permit your name and photographic likeness in all forms and media for advertising, trade, and any other lawful purposes. REGISTRATION SPECIAL!!! Be sure to book your room at once-- even if you're not 100% sure you can attend! 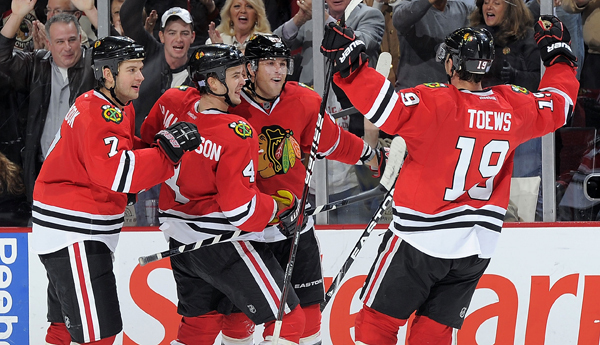 The Chicago hotel market is hot, hot, hot in September so you not get a last minute room. Indeed, our $209 block expires in early June, so don't dealy. Early registrations is just $890, all inclusive. Book today! If you plan to bring someone who did not attend one of the three “Toll Free” Summits, please call to clear them in. See criteria here. Certain "Joey's" are not welcome!... Sorry boys. No Sharks allowed. We reserve the absolute right to reject anyone's registration for any reason. Hotel Book Now!! !— Please plan to stay at the Thompson Hotel, even if you have alternative lodging available. We had to guarantee “room nights” in order to secure the meeting room, so every night counts! Our group rate– and commitment level– is a bit higher this time than the November summit. September meeting space is in high demand. You may call-in reservations at 312-266-2100 or use the on-line reservation system with the group code “14091VANIT”. Phone in reservations are booked under the "Hybrid Telephony Summit." The $209 group rate is good Sunday through Wednesday, September 21 through 24th, and the hotel may (or may not) charge a premium if you plan to stay over the weekend leading up to the Summit. In order to extend your reservation, either book first on-line and then call-in to extend or just call into reservations. The $209 rate is only good if you book now for this fall. Valet Parking—Don’t!!! 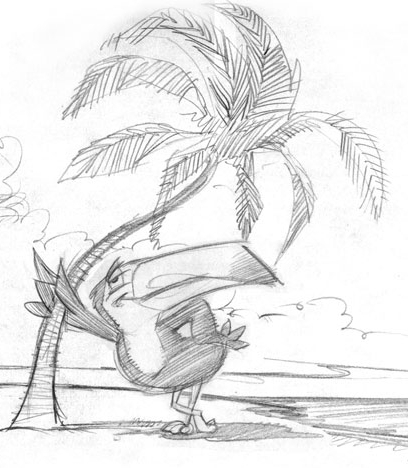 You remember our friend Vinney. He’s still scamming the valet for over $60/night, but you won’t see him paying ‘dose rates! Call me and I’ll set you up across the street. The Last EVER "Toll Free" Summit! We can't create the future by clinging to the past! 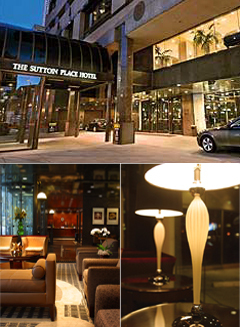 We're back at the Thompson Hotel, formerly The Sutton Place, right on Rush Street in Chicago (see hotel info below). 844 Launch— How to maximize your chance of success! Texting to toll-free— Several companies are now offering text to toll-free numbers. Find out how texting is being used! Visual Telephony— If texting is an appetizer, then visual telephony is the main course! Find out how this will create a renaissance in "toll-free!" Codified transfers— This is the defining issue of out time. What steps do we take to codify transfers without the risk of being taxed out of existence? Who should attend— This was an invitation-only summit designed for professional owners and operators of shared-use programs and those who aspire to “build-out” or monetize vanity numbers. It was not intended for users, or for those who do not share our core values. If you plan to bring someone who did not attend last year's event or the inaugural summit in 2009, please have your referral call to clear you in. See criteria here. Certain "Joey's" are not welcome!... Sorry boys. No Sharks allowed! We reserve the absolute right to reject anyone's registration for any reason. 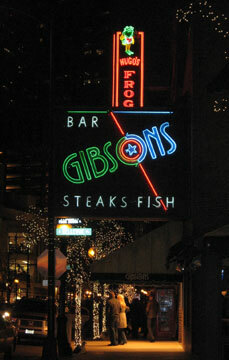 Tuesday, Nov 5th, 6:00 Reception/Dinner at Gibson's Steakhouse. Meals are included for all attended events, from dinner Tuesday, Nov 5th through lunch Thursday, Nov 7th. *Important— The first 16 "Founders" who register will receive Blackhawks tickets, those professionals who have attended the Toll Free Summit before. Everyone else will be on standby in order of registration, with the exception of sponsors and special guests (we have just a few tickets set-aside). If you plan to bring someone who did not attend last year's event or the inaugural summit in 2009, please have your referral call to clear you in. See criteria here. Certain "Joey's" are not welcome!... Sorry boys. No Sharks allowed. We reserve the absolute right to reject anyone's registration for any reason. Hotel Info— Please plan to stay at the Thompson Hotel even if you have alternative lodging available. We had to guarantee room nights in order to secure the meeting room so every night counts! You may call-in reservations at 312-266-2100. They just re-opened the hotel, October 1st after a long renovation and are under stress to get everything moving again. It's doubtful that they'll be able to fix their on-line reservation system in the next few days. Just tell the reservations agent that you are reserving a room for the "Toll Free Summit" to get the special rate of $195/night. I've called in a few times and was only delayed a minute or two in reaching an agent. The $195 is good for Nov 5- Nov 7th. If you elect to stay longer, please call me and I'll see what I can do. Or, if they run out of rooms at the $195 rate, please alert me at once. We have until Monday, Oct 14th to make reservations so please MAKE THEM AT ONCE! Also, please note that valet parking is very, very pricey. Avoid it! The vast majority of North American businesses continue to drive customers to the web and see little reason for toll-free numbers. Yet, this view is rapidly changing as savvy companies realize that people reward their business to companies with real customer service. With that, Toll free is becoming cool again -- and that will be the theme for this year's Toll Free Summit. If you plan to bring someone who did not attend last years event, please have your referral call to clear you in. See criteria here. Certain "characters" are not welcome!... Sorry Joey. No Sharks allowed. *Agenda may change, but within these time-frames. The first-ever Toll-Free Summit was held in Chicago on November 18 & 19, 2009. This premiere, invitation-only event brought together the biggest names in toll-free licensing including the program owner/operators of 1-800-Lawncare, 1-800-Bankruptcy, 1-800-Wireless, 1-800-Home-Care-, 1-800-Car-Help, 1-800-Dumpster, 1-800-Injury, and others. This event was held a the Sutton Place, a boutique, Chicago hotel ideally located in the heart of Chicago’s Gold Coast. The summit began with a reception-dinner on Wednesday night sponsored by Telesmart and featuring fine wines by 122 West Winery, a new venture headed by Craig Balkin of Mountain Marketing. The summit continued on Thursday with a series of panel discussions on key toll-free and licensing topics, sponsored by More Calls Media, 800.com, and 1-800AFTA, and concluded Thursday night with a dinner at one of Chicago’s premier pizzerias -- Gino's East -- sponsored by Call Button. Nothing formal was planned for Friday, but we met for breakfast sponsored by IT Connect. Our mission is to learn from each other, so bring your best ideas and be prepared to share your views on best practices. If you missed the 2009 event, please contact Loren Stocker at Vanity International at 858-792-5000, Brian Lynott at Telesmart, Paul Faust at Primary Wave, Craig Balkin at Mountain Marketing, or Scott Richards at Dial 800 for a review. Who attended: This was an invitation-only summit designed for professional owners and operators of shared-use programs and those who aspire to “build-out” or monetize their vanity numbers. It was not intended for users, or for those who do not share our core values.